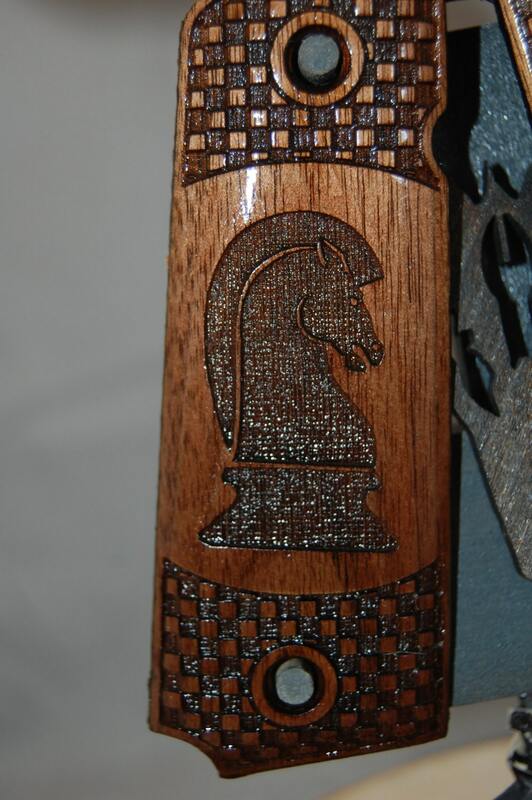 These 1911 grip panels are made with poplar and have been laser engraved with a Chess Knight, and Chess Board texturing on each panel. 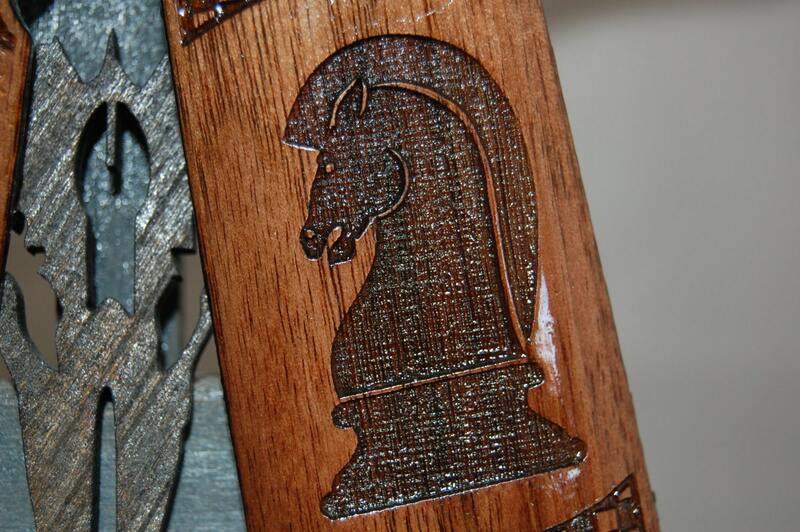 If you want a different chess piece, let me know by clicking the REQUEST CUSTOM button. 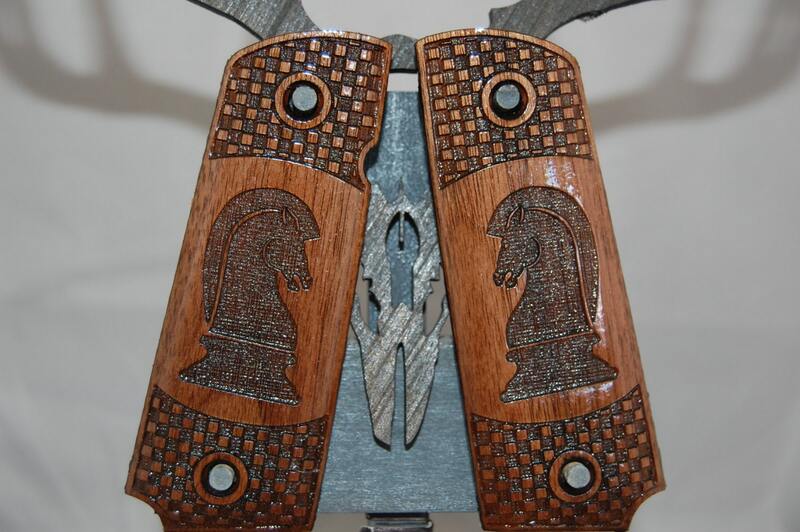 Shown in Dark Walnut stain, you can choose any of the listed stains for your order. 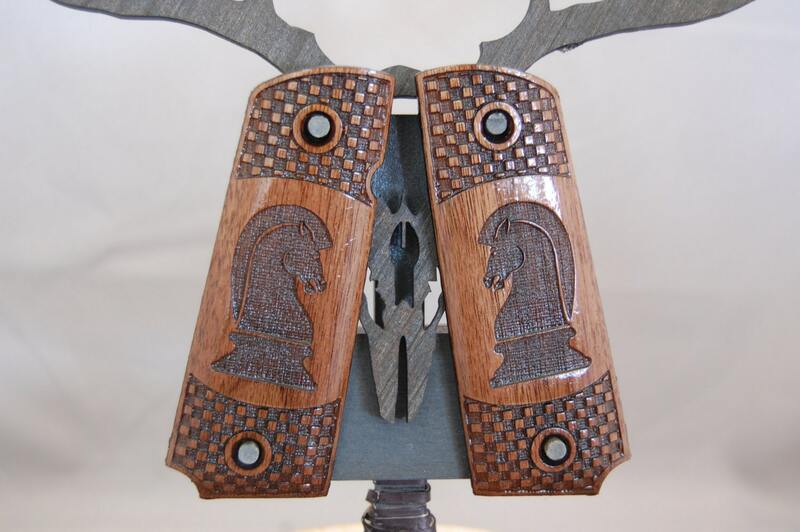 These are custom shaped, and hand sanded to a glassy smooth shine, and completed by applying 3 coats of Tung Oil for a long lasting and super durable finish. If you want them cut for an Ambi-Safety, let me know in the comments. Also, please feel free to contact me if you would like them customized (ie. initials, unit, years served, etc.) 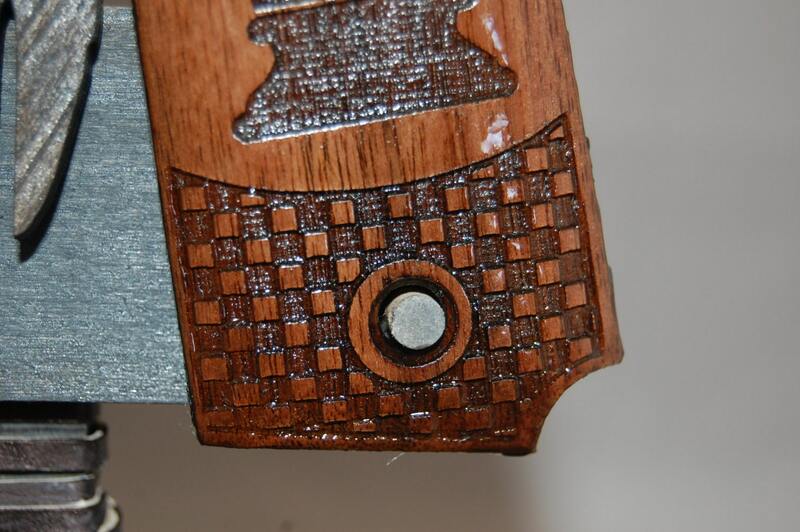 added, or out of a different exotic wood (Walnut, Bubinga, Birdseye Maple or whatever else I can get my hands on) that you are interested in. There is a small fee for this that varies depending on what you are looking for, but truly makes them one of a kind. Test fitted on a Colt, Kimber, and Springfield, they should fit most any full size 1911, although, due to some small variations between manufactures, a small amount of fitting may be required.